New. Trade paperback (US). Glued binding. 3 vols. 1760 p. All Souls Trilogy. Very Good. 0147517729 Minor shelf wear. New. 0147517729 Brand New! No Remainder Marks or Worn Dirty Overstocks! New. 100% Money Back Guarantee. Brand New, Perfect Condition. We offer expedited shipping to all US locations. Over 3, 000, 000 happy customers. Trade paperback (US). Glued binding. 3 vols. 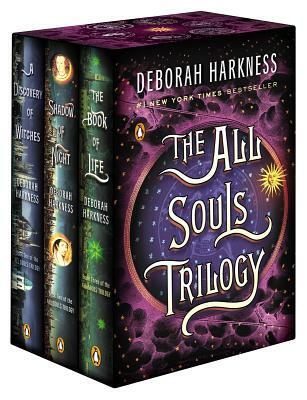 1760 p. All Souls Trilogy. Fine. 100% Money Back Guarantee. Brand New, Perfect Condition. We offer expedited shipping to all US locations. Over 3, 000, 000 happy customers. Trade paperback (US). Glued binding. 3 vols. 1760 p.